THE B-MOVIE NEWS VAULT: STOCK YOUR VAULT: New DVDs & Blu-rays for 08/07/2018! STOCK YOUR VAULT: New DVDs & Blu-rays for 08/07/2018! We're on the final lap of Summer 2018 Vault Dwellers, and this month is a BIG one for DVD & Blu-ray releases! And August is starting off strong with a variety of new titles from all of our favorite genre labels! With Shane Black's THE PREDATOR on the horizon, 20th Century Fox (now a subsidiary of the Disney empire) has released a new 4K transfer of PREDATOR, as well as a PREDATOR COLLECTION boxed set, while Arrow Video gives STREET MOBSTER a nice Special Edition Blu-ray release. But this week Severin Films and Scream Factory are at the top of their game! 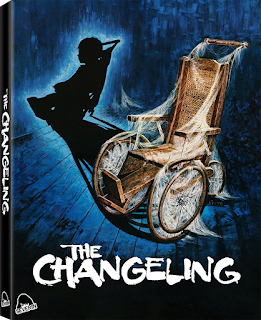 Severin's Limited (and Standard) Edition Blu-ray release of THE CHANGELING is now available, and boasts a new 4K transfer, lots of new extras, and a soundtrack CD! Scream Factory offers up quantity over quality with a whopping FOUR new Blu-rays this week, including John Carpenter's SOMEONE'S WATCHING ME, plus three new IFC Midnight titles: LOWLIFE, PYEWACKET, and WILDLING. I should also note that Scream's parent company Shout! Factory just released MAC & ME on Collector's Edition Blu-ray because it apparently has a big enough cult following to warrant such a thing! (Who knew?!) And I'd be remiss if I didn't alert you all that Umbrella's definitive Blu-ray release of Russell Mulcahey's RAZORBACK is also getting released this week as well! 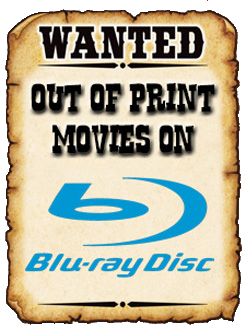 There are some other cool titles out this week on DVD & Blu-ray! Scroll down to see the full roster! Contains: Battle Beyond the Sun, Planet of the Storms, Voyage to the Prehistoric Planet, and Voyage to the Planet of Prehistoric Women. Umbrella Entertainment's August 2018 Releases!